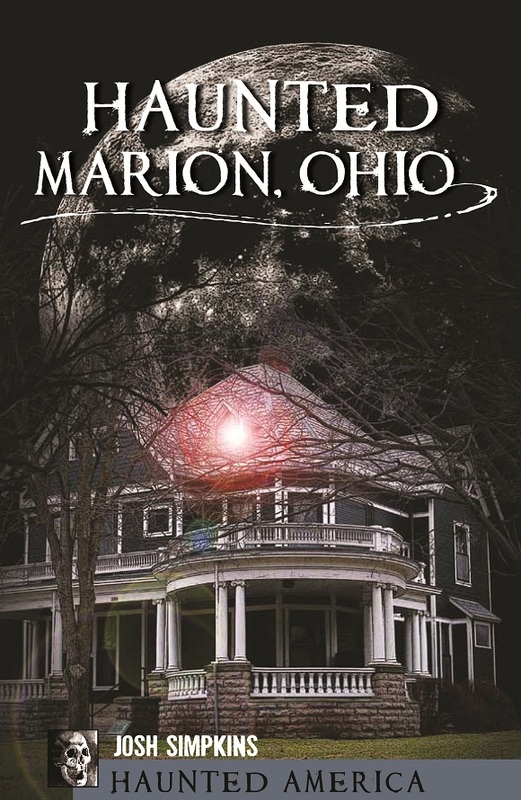 The History Press published Haunted Marion, Ohio, written by one of the founders of Spooky Marion, on September 2nd, 2011. Some of the tales will be expanded versions of stories that have originally appeared on this website, but many others are completely new. The book contains over 35 photos and illustrations and sells for $20. Rocky’s Cyclery and Fitness, located at 239 East Church Street. The Marion County Historical Society, located at 169 East Church Street. Hi Mariah, glad to hear it. I hope you like it, and if you hear of any other good stories going around Marion, be sure to let me know! I bought the book this afternoon and just finished it. I couldn’t put it down. I certainly have some ideas for ways to spend the boring summer nights in Marion next summer now. Great job! Thanks for the kind words. You’ll have to let me know if you have any ‘interesting’ experiences! I agree. I am definitely interested in buying your book. Halloween is almost here, and I will have to go to all these eerie hauntings. Crazy that I get on this site right after Brooke considering I know her. I was just wondering how I could receive a copy of this book, seeing that my husband is mentioned in this book. I live in Massachusetts and they do not sell it out here that I am aware of. I am sure a book store could order it or you could write to the Historical Society, and I think they would ship one to you. I saw the cost was $20.00. Was curious who your husband was and what his name was and why in would be connected with the house on Silver Street? I used to live in Marion. Now I’m in Mo. I was just wondering that myself. They only list 3 bookstores. I grew up on Avondale Ave. Where was this house located on Silver St? Just curious. That’s why that house looks familiar where at on Silver St. I lived a couple of houses down on Silver. I grew up in Marion and live out of state. Would like to purchase a copy of the book. Are they being sold online? How can I purchase one of these books? Hi Jeri. The book is also available on Amazon or iTunes! Oh good, glad to hear that. I buy everything om Amazon!! Picked it up started reading and couldn’t stop. Loved it. Very well written and organized. Reads as a conversation rather than a history lesson so it keeps you interested. I will be talking about this on my next podcast for sure. Thanks for the compliment! How can people listen to your podcast? I was best friends with Chris as kids. I grew up in 314 Silver Street. If you want to know my side of the story, email me. I was Ellen Gardner when we lived on Silver St in 1966. Having grown up in Marion, I bought the book and had fun reading it, even though I’ve never believed in ghosts or haunted houses. I still don’t but I enjoyed the stories nonetheless. I was born in Marion in 1936 and grew upon Chestnut Street. Went to the old “Harding” on Church Street but do not remember a ghost.